Hi, I'm Zeke. 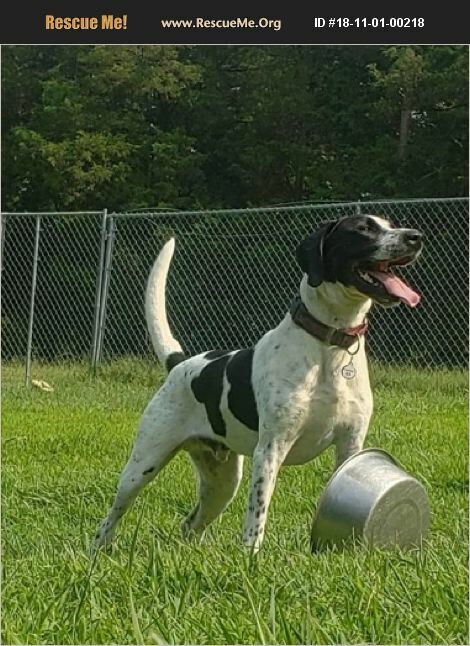 I'm a 3 year old English Pointer that is looking for a forever home. If you dont know much about my breed let me fill you in. We are hard driving, processing stamina, courage and always wanting to go on adventures. Though dignified and sweet-natured, we are packed with energy and we should be with a family who will give us the running exercise we need to feel satisfied. Our breed gets bored easily, that's when we start to look for something to do on our own. With strangers, most English Pointers are slightly reserved, but not me. I love everyone and will make sure you know it! The English Pointer can be a bit stubborn and that is why the rescue quickly trained me all my basic manners. Since I'm very sensitive like most pointers, I respond well to patience and positive training that includes food rewards and praise . My new family will also have to help remind me to demonstrate impulse control when I get excited. I'm ready for my new home, if you are an active family with dog experience that can give me the exercise I need please come meet me. You will fall in love with me and wonder how you ever lived without me. If you would like more info on this dog and our adoption process, please contact info@jaxslabrescue.org You can also visit our website at www.jlrrescue.org for additional information about our process and our coverage areas.